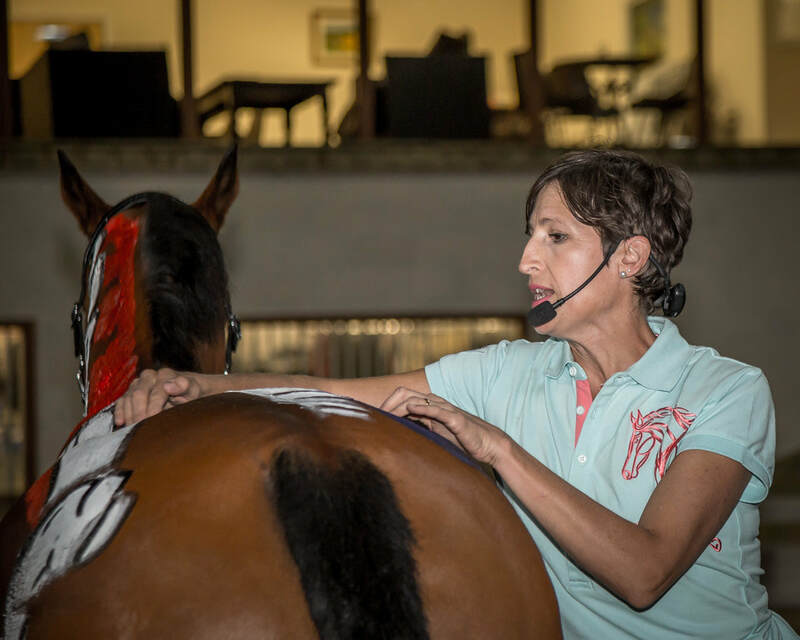 Lucia is a Level 3 Clinical Pilates instructor, Equipilates™ Biomechanics Trainer, Equine and human sports massage therapist, with 18 years’ experience in the health & wellness industry. The last 17 years she’s worked with Chiropractors & Osteopaths in Spain, Oman, Bahrain & now Canterbury. She’s always had a passion for horses, and an active interest in yoga & Pilates. She’s had many years' experience working with horses in various disciplines & has assisted in running yards in Spain & UK. She worked with various horses & riders whilst living in the Middle-East, including the Bahrain show jumping team. This experience has enabled her to benefit many clients & horses in different countries. Since being in Kent, she’s run events and given demonstrations for local Pony Clubs & riding clubs at their clinics & camps. Since returning to the UK late 2013, Lucia attended various events run by Monty Roberts & Kelly Marks, Intelligent Horsemanship; Gillian Higgins, Horses Inside Out; & Russell Guire, Centaur Biomechanics. At these events, over a three year period, Lucia met Lindsay Wilcox-Reid; she read the books ‘Pilates for Riders’ & ‘Core Connection for Rider & Horse’, and felt this was the missing link for her clients. She now combines her current skills & qualifications, with Equipilates™ & intrinsic biomechanics techniques to assist both horse & rider get the most out of their performance together. Lucia offers Equipilates™ courses for small groups, regular Pilates mat classes, posture awareness workshops, one to one biomechanics screenings, equine & rider sports massage; & demonstrations for all the above around Kent & the South East. To find out more contact Lucia on her mobile 07506 90 66 14, check out the website or Facebook page for updates.